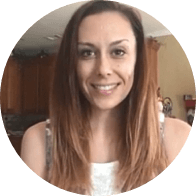 Worthy helps you sell Rolex Submariner watch for more - these classic watches deserve worthy offers, which is precisely what you’ll receive when you work with us. Using our auction platform, we attract hundreds of professional buyers to compete for your Rolex Submariner watch. 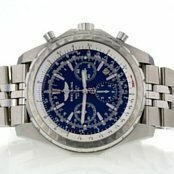 We don’t just list your timepiece like so many other online marketplaces do; instead, we go the extra mile by cleaning, evaluating, and photographing it using the most advanced high-resolution imaging equipment available, so it looks its very best at auction. From start to finish, we are fully committed to obtaining the highest price possible and to ensuring the process is simple yet secure. 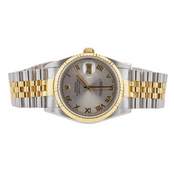 Why Sell Rolex Submariner Watches With Worthy? We believe in the value of convenience and we prove it by working diligently on your behalf. With our services, there’s no need for you to spend valuable time searching for an evaluator, cleaning and photographing your watch, then attempting to connect with interested buyers; we do all this for you. 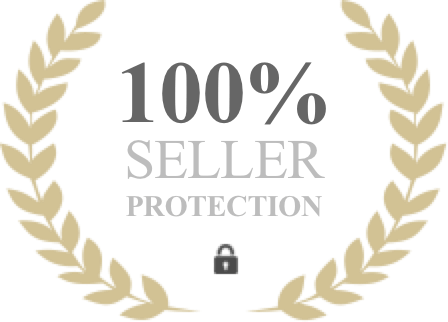 Because we often sell Rolex Submariner watches, we attract interested, pre-screened international buyers to your auction, selling only to those who are willing to pay top dollar for the quality and reliability associated with Worthy. Our top values including trust, transparency, and total customer satisfaction. It all starts with a 100% objective evaluation and continues throughout the entire auction process. Worthy holds a Secondhand Dealer's License issued by the New York City Department of Consumer Affairs and is accredited by the BBB. Those who sell Rolex Submariner watches with us benefit in a number of ways. One of the top benefits we provide is a professional watch authentication, which is conducted at no cost to you at CentralWatch, located in Manhattan. We only trust watch experts that are at the top of their field. You can also enjoy peace of mind in the knowledge that your Rolex is fully insured throughout transit and during storage in our ultra-secure facility. Description. Describe your Rolex Submariner to the best of your ability. Be sure to include mention of any paperwork you may have. How do We Get You the Highest Offer When Selling Rolex Submariner Watches? Rolex Submariners are known for their water resistance, and with many designs to choose from, there’s a submariner model for everyone. 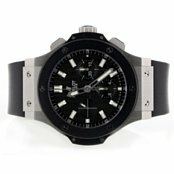 It’s not at all difficult for us to sell Rolex Submariner watches to the right buyers, as many famous names are associated with these elegant yet superbly functional timepieces: Jacques Cousteau, Sean Connery, James Bond, Thor Heyerdal, the entire British Royal Navy, and famous French diving company COMEX, to mention just a handful. The Submariner was officially launched in 1954, with an experimental model capable of withstanding a depth of 200 meters. A smaller model was offered for sale the following year, but it took Sean Connery starring as James Bond to give the Rolex Submariner its mass appeal. Since then, various models have continued to offer innovation and elegance. What Factors Can Affect the Value of a Rolex Submariner? Most Rolex Submariner watches are valuable and will provide an excellent return on your investment. 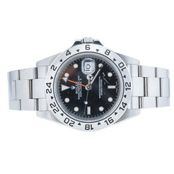 Why Sell Rolex Submariner Watches? Why do our clients choose to sell Rolex Submariner watches? 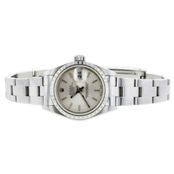 You can transform unwanted or unused watches into cash. 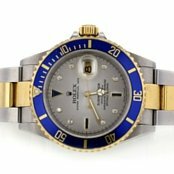 It’s not difficult to sell Rolex Submariner watches with Worthy. The market for Rolex Submariner watches is strong. Excellent examples of Rolex Submariner watches have recently brought well over $20,000 at auction. If you’d like to sell a Rolex, you’ll most likely be astonished at the offers you receive when working with Worthy.